Isis Anchalee, an engineer with security startup OneLogin, agreed to be a part of a recruitment-focused ad campaign at the last second. It ended up blowing up in her face. She wrote, “Some people think I’m not making ‘the right face.’ Others think that this is unbelievable as to what ‘female engineers look like’. News flash: this isn’t by any means an attempt to label ‘what female engineers look like.’ This is literally just ME, an example of ONE engineer at OneLogin. The ad is supposed to be authentic. My words, my face, and as far as I am concerned it is,” writes Anchalee in a post on Medium. 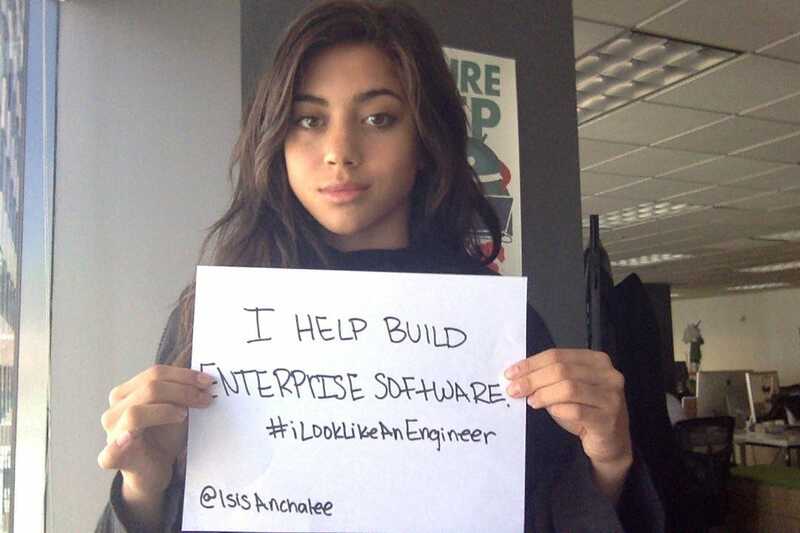 In response to this controversy, Anchalee started up the Twitter hashtag #ILookLikeAnEngineer to show that there isn’t just one look for those working in programming or software engineering. This article was written by Matt Weinberger (mweinberger@businessinsider.com) from Business Insider and was legally licensed through the NewsCred publisher network.